The European Commission opened three antitrust investigations into e-commerce businesses in February; now it's planning more. E-commerce businesses may face further antitrust investigations, the European Union's top competition watchdog has warned. The European Commission hopes these investigations will lead to more choice and lower prices for consumers, online and off. It has just wrapped up a two-year study of business practices that raise competition concerns in the e-commerce sector, and published its final report on Wednesday. "Certain practices by companies in e-commerce markets may restrict competition by unduly limiting how products are distributed throughout the EU. Our report confirms that. These restrictions could limit consumer choice and prevent lower prices online," said Competition Commissioner Margrethe Vestager. "Our findings help us to target the enforcement of EU competition rules in e-commerce markets," she said. That targeting "will include opening further antitrust investigations," the Commission said via email. In already opened three such investigations back in February. One looked into the use of geoblocking on the online video game sales platform Steam, on which five game publishers, Bandai Namco, Capcom, Focus Home, Koch Media, and ZeniMax, are suspected of tying game activation keys to particular countries. This could allow them to sell the keys at a lower price in some countries, but prevent players from using those keys to activate the game in countries where the same game is more expensive. Geoblocking was also a concern in an investigation into online hotel bookings, where the Commission suspects tour operators including Kuoni, REWE, Thomas Cook and TUI of working with hoteliers to link prices or room availability to customers' nationality or country of residence. The third investigation concerned online sales of domestic appliances and hi-fi systems, where the Commission believes manufacturers may have prevented resellers from setting their own prices for the products. It's not just about regulating online sales, said Vestager: "There is a need to balance the interests of both online and 'brick-and-mortar' retailers." Since the earliest days of online sales, some customers have sought advice and tried out products in bricks-and-mortar stores and then gone on to buy the same products for less at online-only stores with lower overheads, which can push physical stores into a spiral of higher costs and fewer sales. 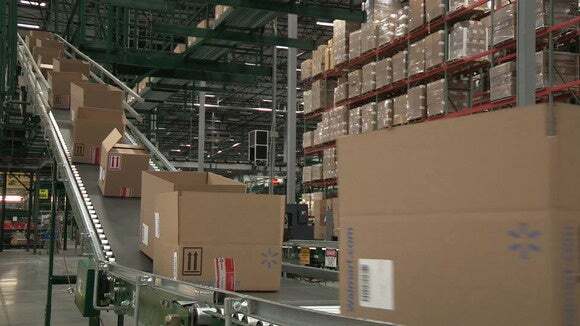 Some manufacturers have sought to balance this by only allowing businesses to sell their products online if they also sell them in a physical store. That's all very well if it leads retailers to compete on customer service as well as on price, according to the Commission. However, it warned in the report that "Certain requirements to operate at least one brick-and-mortar shop without any apparent link to distribution quality and/or other potential efficiencies may require further scrutiny in individual cases." Amazon.com, for one, appears ready to face up to such regulatory and contractual challenges. After years of online-only operations, it is starting to sell books and even groceries in downtown stores.